What is an "unheated" sapphire? | What is an "untreated" sapphire? What does "heated sapphire" mean? 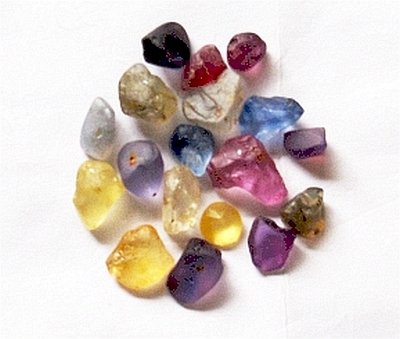 Virtually all the sapphires stones and jewelry in the market place, have been subjected to treatments. Regular heat treatment is the oldest and most prevalent enhancement in the sapphire, performed to improve on color and clarity. It is usually performed at 1,600 degrees Celsius in man-made furnaces. However, nowadays, chemical additives in the forms of molten glass and coloring agents are added to the heating furnace, first to conceal natural cracks and fissures and then to altering completely the stones' original color. What does "unheated, untreated, no heat sapphire" mean? A completely natural, unheated, untreated, no heat sapphire is the pristine form of the mineral, as coming out from the ground, with only cut and polish applied. Unheated sapphires are therefore rarer, more valuable and definitely more beautiful. They are what mother nature intended them to be.